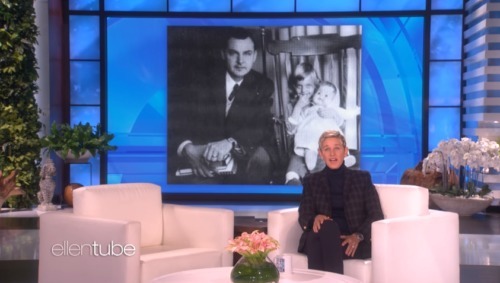 Ellen DeGeneres paid tribute to her father, Elliott, who died this week at age 92, in a moving segment on Thursday. She noted that she mentioned the day before that she had a lot going on in her life while talking about the mudslides taking place in Santa Barbara where she lives. She then revealed what she had been referring to with that comment. “I lost my dad this week,” she said, a picture of a young DeGeneres with her father appearing on the screen behind her. “I got a rainbow before he died,” she added. She shared the photo on Twitter. Watch her talk about her father and the moment the rainbow appeared in the video below.